American Express was looking to showcase their new application for businesses, Receipt Match, in a way that was portable and reliable. 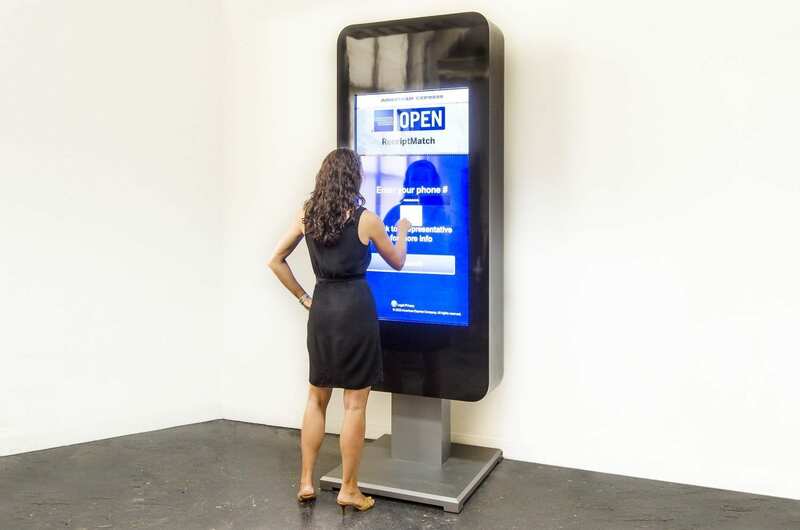 AMEX sought a kiosk interface that they could transport to trade shows across the country, allowing prospective clients to test out the application without downloading it to their personal devices. MetroClick created a simulation of a mobile device on an embedded touch screen, with high quality resolution display. This solution allowed users to download the app and explore it on the main screen when they visited American Express’s trade show booth. We also included a way finder feature to navigate the convention center, and created a game for users to learn more about AMEX and receipt matching. With our trade show kiosk solution, AMEX was able to teach clients about the benefits of their application in an interactive, personal way. MetroClick’s digital content, coupled with the freedom to explore the product itself, provided AMEX with numerous strong leads from each show. Such success demonstrates that this method of prospective customer communication is one far superior to traditional sales pitching.